Seattle Symphony has named Noah Geller, currently concertmaster of Kansas City Symphony, to the key role, starting with the 2018-19 season. 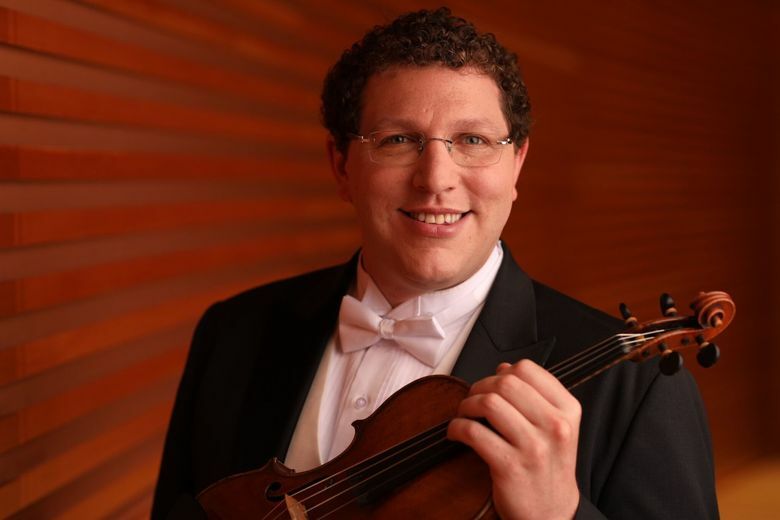 After almost three years without a concertmaster, Seattle Symphony has named Noah Geller to the key role, starting with the 2018-19 season. Violinist Geller is currently concertmaster of the Kansas City Symphony — a role he’s held since 2012. Before that, he was acting assistant concertmaster, and first violin section member, with The Philadelphia Orchestra. Geller earned his master’s and bachelor’s degrees at The Juilliard School. The concertmaster, the best-paid and highest-ranking orchestra musician, holds a key leadership role, acting as conduit between the conductor and orchestra, communicating what the conductor wants the music to sound like and how it should be played, even when the conductor is not there. As first violin, the concertmaster is also responsible for leading the violin section and preparing the section’s scores — by arranging technical details — and usually plays all the violin solos within a piece of music. At Seattle Symphony, the position has been open since Alexander Velinzon departed at the end of the 2014-15 season. The symphony has been holding auditions since and has “now found the right fit,” said Shiva Shafii, Seattle Symphony spokesperson.